This is a book of growing up in an enclosed community. It is a book of female friendship and what that may mean for the future. It is a novel of place, time, and essentially of love. Set in a lighthouse community in late nineteenth century Australia, it deals with a time when a woman was judged on her marriage prospects rather than what she actually felt, and the disastrous consequences that could mean for her. I was sent this novel based on real events by Legend Press to review, and it is a stunning debut by an author who has actually thought about life in the circumstances which existed so long ago. In a way the narrator, Kate, is confined by her father’s job. 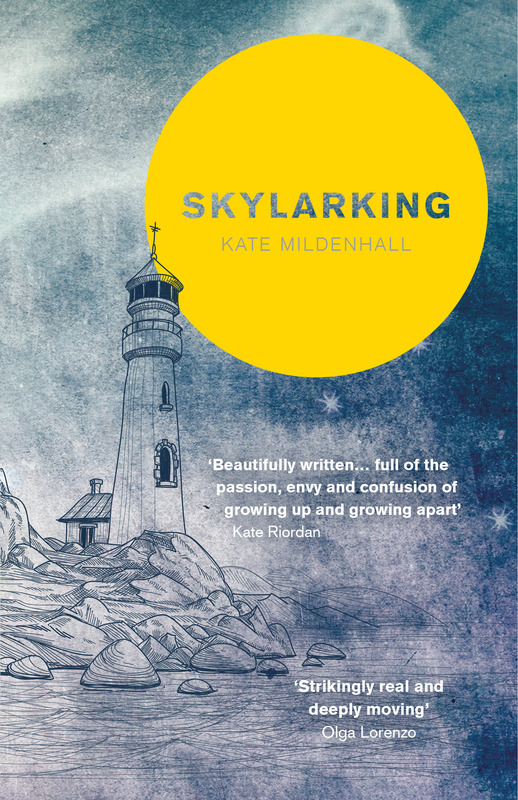 He is a lighthouse keeper on a cape in Australia, and Kate’s life experience is confined to the families of those who work on the lighthouse with her father. There are the native people who exist on the fringes, and a few fishermen who pick up a small living locally. The most important person in Kate’s life is Harriet Walker, who is slightly older but as an only child, dependent on Kate for company. They grow up together, though Kate takes more risks, leads Harriet into danger in the playground of cliffs, beaches and the natural world around them. As Harriet grows up, meets people, goes to Melbourne, Kate has only her imagination and the books she reads for company, and she makes mistakes. The research into the period is beautifully incorporated into this novel, as the reader can follow the tiny community in its simple life of near self-sufficiency. I really admired the graceful descriptions of the world enjoyed by Kate and Harriet, including the basic school and struggle to grow even a few vegetables. The descriptions never get in the way, but occasionally the feeling of sadness and even doom does tend to dominate the flow of the story. Otherwise, it is a beautiful story of maturing in a community and growing to appreciate feelings. This is not a miserable book, but it reflects joy rather than humour. The narrator is honest if sometimes confused by her life, and I recommend it for the elegance of its descriptions and the truth of its feelings. Today is Northernreader’s “stop” on the blog tour, and I’m really pleased that I had the opportunity to read this book. At the moment I’m having fun reading all sorts of books, having found some lovely bookshops (sadly, not local usually!). Over the next few days I’ll probably have a rest from posting while I finish them! !